Dozens of buses on Wednesday entered two government loyalist towns under siege from rebels in the northwest province of Idlib, as part of a deal to evacuate residents to government-controlled areas, according to state news agency, SANA. Some 6,000 people will leave, emptying out the mostly Shia towns of al-Foua and Kefraya, a commander in the regional alliance that backs Syrian President Bashar al-Assad told Reuters news agency. “What are we going to do with our land and property? Oh my hometown,” a 42-year-old who wished to remain anonymous told AFP news agency. 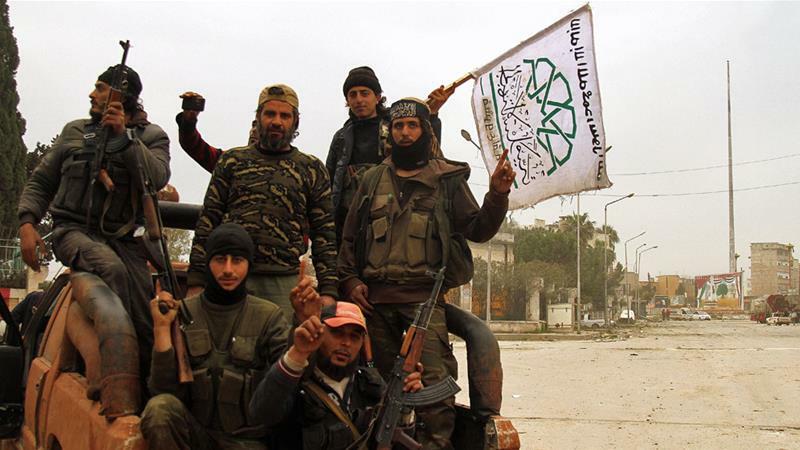 Rebels from Hayat Tahrir al-Sham – a group formerly linked to al-Qaeda – and Iran-backed forces agreed the deal to evacuate people in return for the release of more than 1,500 civilian and rebels in state prisons, sources said on Tuesday. A deal for the evacuation of residents from the two Shia towns was first reached in April 2017 but had only partially materialised with only a group of people evacuated to government-held areas. The April evacuation was halted after a blast killed 150 people, including 72 children. Iran, which backs Assad against the mainly Sunni rebels and has expanded its military role in Syria, has long taken an interest in the fate of its co-religionists in the two towns. In the past two years thousands of people, mostly from rebel-held areas, have been forced to move to territories controlled by the rebels as part of evacuation deals. The opposition has consistently maintained that such evacuation deals amount to forced demographic change and deliberate displacement of Sunni populations away from the country’s urban centres. They accuse Tehran of attempting to change the demographics in areas close to Damascus with the goal of partitioning the country. Another opposition source said the resumption of talks was aimed at deterring a potential military campaign by pro-government forces on the two towns. Idlib is part of a de-escalation deal – signed by Iran, Russia and Turkey – that calls for the cessations of hostilities between rebel groups and government forces. The agreement, which initially included Eastern Ghouta in the northern Damascus countryside and Deraa province in the south, has already been broken with government forces, backed by Russian air support, in control of much of the territory.